Pantone has yet to release their 2016 Color of the Year, but they have shared what the Top 10 Colors will be. I know I’m a little late with sharing the colors, but with the holidays approaching, so does engagement season. 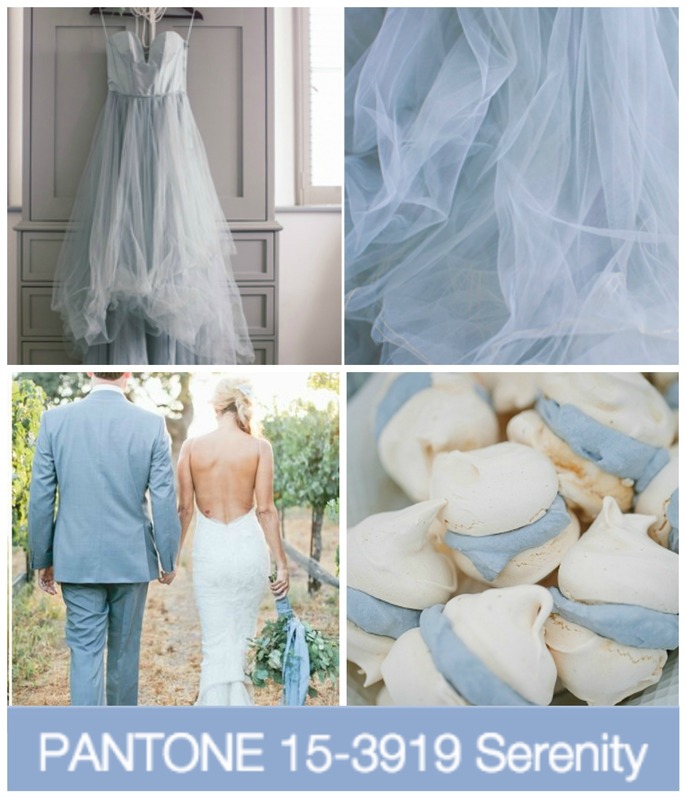 And I just had to share my favorite colors for the upcoming year of weddings and parties! Pantone says next 2016’s colors showcase vibrant statements that at the same time balance perfectly with classic and more calming natural tones. It’s a collection of colors that break gender norms, and that exude excitement and happy memories…. Leatrice Eiseman, executive director of the Pantone Color Institute, couldn’t have said it any better about 2016’s colors. 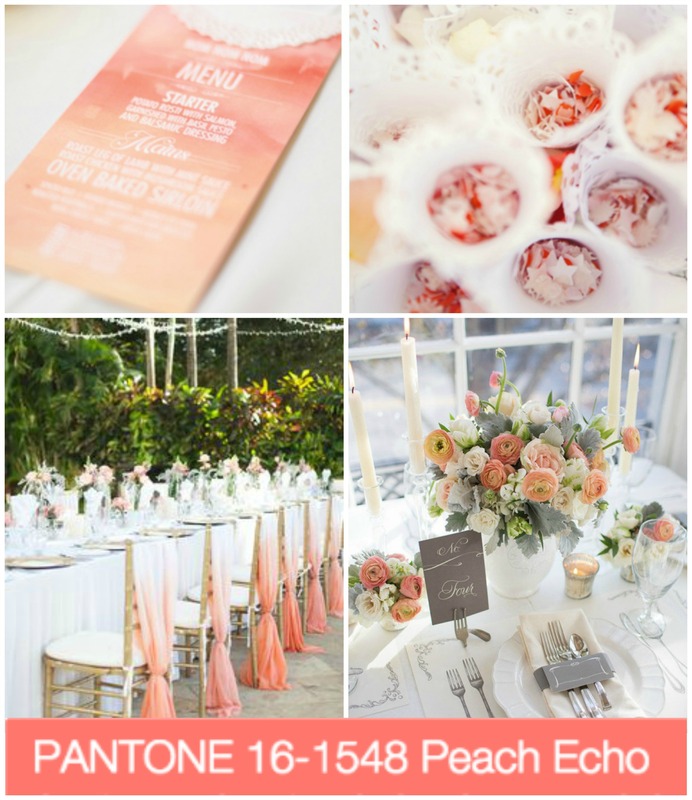 Check out the entire list of Top Colors for 2016 here, but below are my six favorites from the list and inspiration on how you can use these beautiful colors for your wedding or party next year! Blush shades are a favorite amongst brides, so naturally Rose Quartz was my favorite on the list. 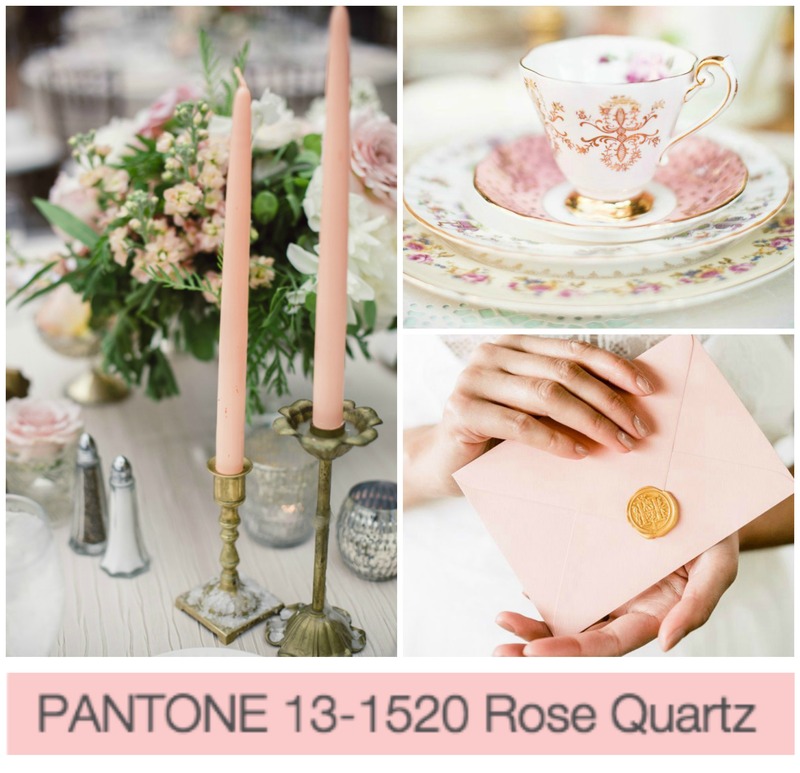 Rose Quartz is a dreamy shade of blush, sweet, feminine and absolutely romantic. This is the kind of color that was made for weddings! It works effortlessly for not only Spring/Summer weddings, but when blended with whites and neutral tones, perfect for Fall and Winter too! Peach Echo Peach Echo is a warm and lovely coral shade. It’s a muted vibrance, lends itself well to mixing with other bright colors or lighter monochromatic peach tones. It’s bright, fun, and all kinds of festive, perfect for eye-catching Spring or Summer weddings or when paired with warmer shades, a standout winter affair. Serenity is my other favorite, and it’s appropriately named, because this soft color is so very serene. It’s calming and light, blending beautifully with shades both warm and bold. 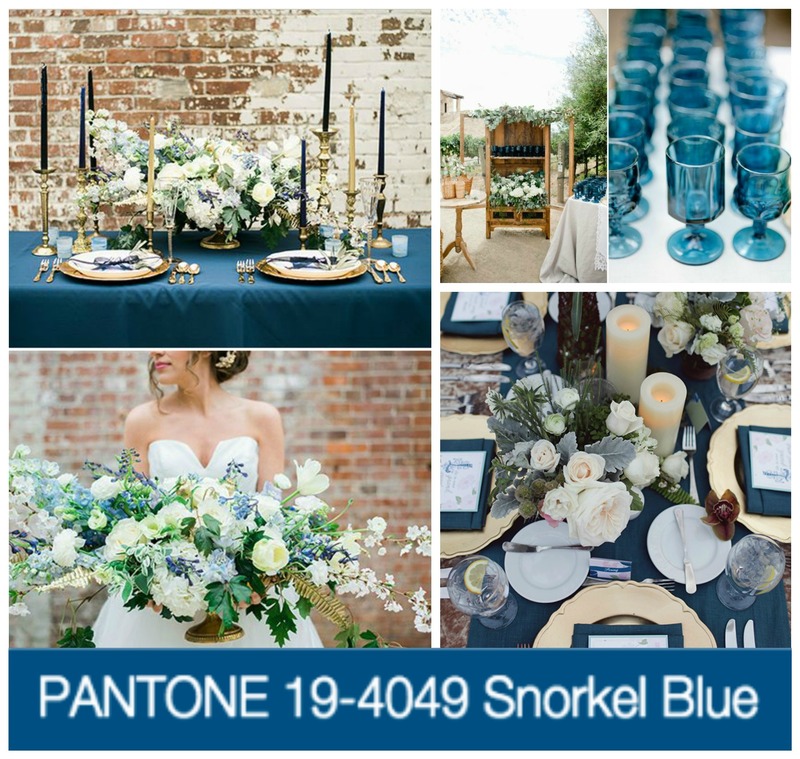 Serenity, is an absolutely elegant color, the kind that works effortlessly for Winter weddings. It has gray, dusty blue and lavender undertones and I just couldn’t love it more. I can see this color being used a lot in the future, not only in weddings and parties, but in interiors and fashion too! Not one for dark color, Snorkel Blue is the kind of color that exudes all kinds of amazing vibes. It’s bold, but rich, and a classic color shade. It can become whimsical paired with another bold color, like Peach Echo, or elegant when paired with whites and Serenity. 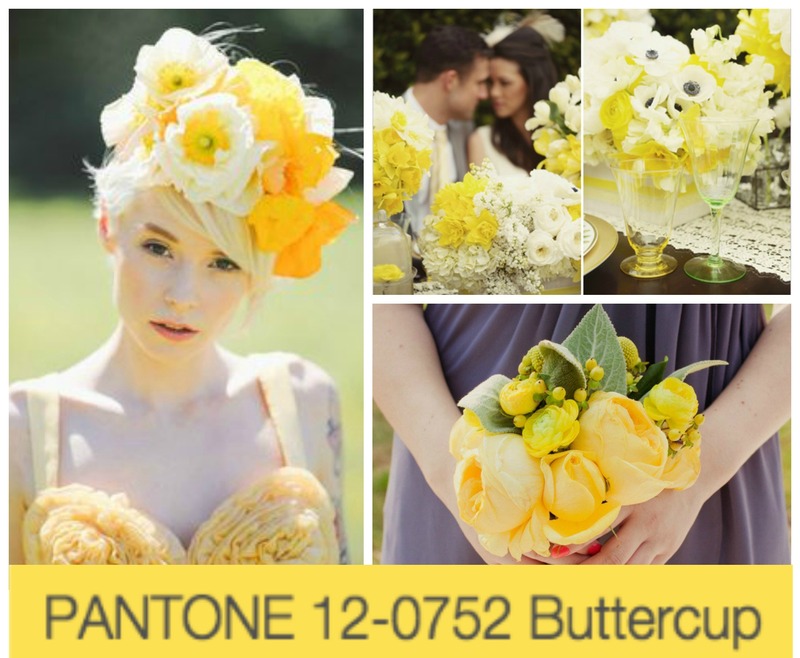 How can you not be happy after seeing Yellow, and Buttercup is that cheery color. It just makes you feel happy. It’s festive and screams fun, making it the perfect color come Springtime! 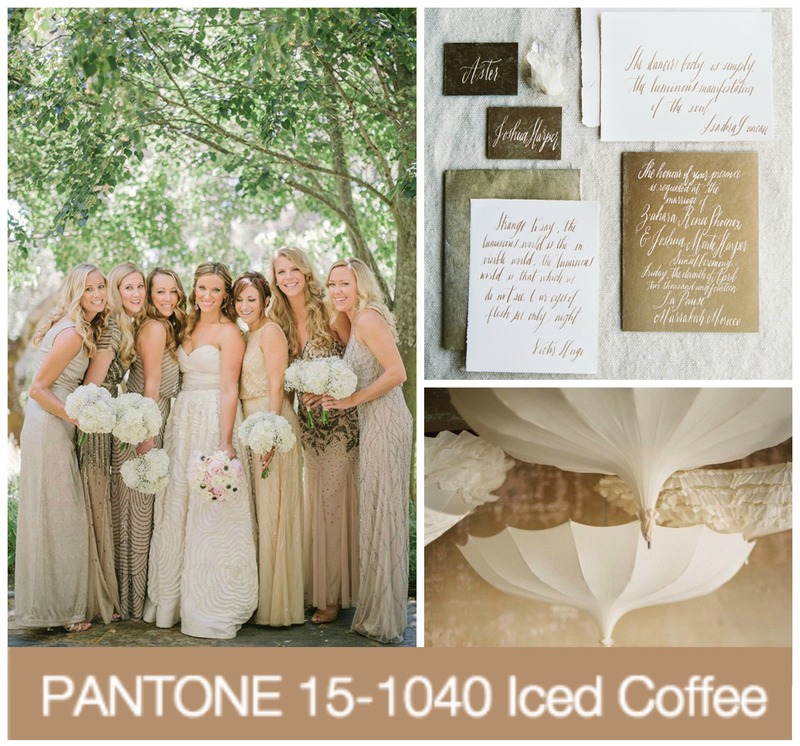 Warm, and cozy, Iced Coffee is the perfect shade for Fall and Winter weddings, and there’s no denying it’s already a popular shade! Amongst the bold colors on Pantone’s list, I was really happy to see this soft neutral hue. It’s the kind of color that works naturally for colder months, but can also be rustic and elegant, or modern and romantic. Iced Coffee is a great color, and I’m looking forward to seeing it more this season! How are you liking Pantone’s color choices for 2016? Would love to hear your favorites!